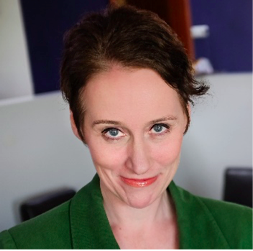 Brussels-based IETM - International Network for Contemporary Performing Arts has appointed Iceland’s Ása Richardsdóttir as its secretary general effective February 1, 2019. Richardsdóttir has played a prominent role in the evolution of Iceland’s contemporary performing arts scene: she is currently the director of Ice Hot Reykjavík 2018, project ambassador for the Nordic Culture Fund, and a long-standing member of IETM. Ása has led a versatile career in arts, culture, academia, banking, politics and media, during three decades. She started her career at the age of twenty as a producer at RÚV State Television Iceland, became their news correspondent during her university years in England and once finished with her BA studies became a television reporter of international news at RÚV. IETM is one of the most important networks of arts organisations in the world. The opportunity to represent it is a fantastic one. I have been a member for 18 years and I look at IETM as my most important professional family. To be offered to lead this family is an honour. Read the full announcement in IETM's latest email.